Misdemeanor Hit and Run is charged under California Vehicle Code 20002(a) which makes it unlawful to willfully flee the scene of an accident after knowing you were involved in an accident. The crux of this offense is not the accident itself; rather, it is the failure of the driver to stop and render assistance or the driver’s attempt to evade responsibility for his or her actions. Therefore, although the offense of fleeing the scene of an accident is most commonly called “hit and run,” the act made criminal under this offense is not the hitting, but the running. The purpose behind this crime is to compel a driver to render necessary assistance to those who may be injured and prevent drivers from seeking to avoid civil or criminal liability resulting from the accident. To be clear, there are two forms of hit & run. 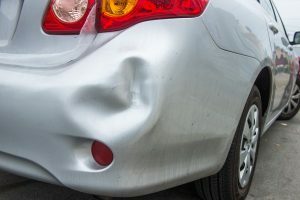 This article addresses hit and run in the context of property damages – e.g., backing into another car or striking a fence or pole. If the accident causes bodily injury to another person, then the government will charge you with hit & run causing injury, under a different statute which carries far greater punishment. You may find the following article helpful as it will address some important things you should know about misdemeanor hit & run laws and defenses. You willfully failed to perform one or more of the following duties: (1) stop immediately at the scene of the accident; (2) provide the owner or person in control of the damaged property with your name and current residence address (and the name and address of the owner of the vehicle you were driving). What is the Punishment for California Hit & Run? A conviction for misdemeanor hit and run causing property damage(s) carries up to 6 months in the county jail and a fine up to $1,000. Depending upon your prior criminal history, the court normally imposes a period of probation for three years and require you to complete community service or labor. A conviction also carries two points on your DMV record causing your insurance to increase. The court will additionally order you to pay restitution to the other party for the damages if you were the cause of the accident. The duty to stop immediately means that the driver must stop his or her vehicle as soon as reasonably possible under the circumstances. Notice that the statute requires you to act reasonable. In other words, there is no clear rule as to what precisely defines “reasonable under the circumstances.” Hence, whether you stopped immediately will be dependent on a case-by-case basis. Factors to consider are: the level of damages resulting from the accident; street lighting; heavy or light traffic; and whether you lost control of the vehicle after the accident. It may be a where you did stop and pull your vehicle over but the government may allege it wasn’t immediate within the statutes’ purview. However, in the event there was heavy traffic or lost control after the accident are critical factors to consider regarding whether you pulled over as reasonable as possible. EXAMPLE: Dan was driving his car down the road during one evening. After passing an intersection, a car pulled out from a parking spot. Dan swerved right in an attempt to avoid colliding with the vehicle but unfortunately struck the front portion of the other driver’s vehicle. Dan then lost control for a few moments, regained control of his vehicle, and pulled over to the side of the road approximately 600 feet after the accident. Dan was subsequently charged with hit & run. In this case, Dan’s defense attorney would argue that Dan not only stopped after the accident, but he stopped within a reasonable amount of time given that he had to regain control of the vehicle after the accident in an effort to avoid striking other cars on the road. The government must prove you were the driver of the vehicle. Just because you may be the registered owner, does not by itself provided enough proof that you’re the driver. There may be instances where someone else was driving your car to either drive you home because you were too drunk to drive or perhaps borrow your car to run an errand. There is a limited exception to this statute if you’re the registered owner and you were present at the scene when the accident occurred. However, typically the government proves this essential element based on an eyewitness identifying you as the driver or based on your admission to police. In many instances, law enforcement cannot prove you’re the driver and attempt to question you in an effort to gain an incriminating admission. EXAMPLE: You were driving your car and you side swiped another parked vehicle. A pedestrian writes down you license plate information but was unable to identify your physical description to police. You’re subsequently arrested for hit & run after police obtain your address after running your license plate information. In this case, the government cannot prove you were the driver of the vehicle. Indeed, there’s no supporting evidence other than your vehicle being involved in an accident. Absent an incriminating admission, the government cannot prove beyond a reasonable doubt that you were the driver even if it’s your vehicle since the witness was unable to identify the driver. The government may prove that you either actually knew you caused property damage(s) or that you reasonably should have known under the circumstances. Moreover, if the government were held to prove that you possessed only actual knowledge, it would realistically render the statute useless. However, there are instances where someone does not actually or constructively know that they were involved in an accident or caused any property damage. In the context of striking someone causing injury, the example below articulates how you may be involved in a traffic collision but lack the requisite knowledge. CASE EXAMPLE: In People v. Carter (1966) 243 Cal.App.2d 239, the defendant was involved in an accident causing slight damage to the defendant’s fender and slight damage to the victim’s front bumper when he made a left turn at an intersection. The defendant helped the victim move his vehicle, but then departed without leaving any of the required information. Defendant denied any knowledge that anyone was injured in the accident, but was convicted of hit and run causing an injury. The appellate court reversed on the basis that there was insufficient evidence that the defendant had either actual or constructive knowledge that he caused injury. Although the driver of the other vehicle sustained minor neck and shoulder injuries and two other occupants sustained other minor injuries, the defendant was never aware of these injuries. In addition, the court held there was insufficient to charge the defendant with constructive knowledge because the personal injuries were minor and the collision was not of sufficient magnitude to compel the conclusion that injuries had probably occurred. EXAMPLE: John was driving his truck on the freeway. He struck a small pothole causing his truck to jolt where a box to fell out of his truck bed striking another car causing a dent. John continued to keep driving not knowing that the box had fallen off his truck. The other driver wrote John’s license plate number and subsequently filed a police report for hit and run. John was arrested later that afternoon for misdemeanor hit & run charges. In this case, there is no evidence that John had actual knowledge that the box fell from his truck. Furthermore, there is arguably no evidence that would lead a reasonable person to believe that they caused property damage to another as to charge John with constructive knowledge. Thus, John’s defense attorney would argue lack of knowledge. To be involved in an accident means to be connected with the accident in a natural or logical manner. In addition, the government does not need to show that your vehicle collided with another vehicle. For instance, you swerved into an adjacent lane without knowing another vehicle was in your blind spot. The other vehicle swerved to avoid you striking them and they hit another car. This defense also corresponds with proximate cause where you were not the substantial factor in causing the property damage(s). In sum, being involved in an accident is not precisely defined thereby leaving your attorney some room to create doubt in the government’s case. EXAMPLE: You were driving on the freeway going the speed limit. A vehicle in your adjacent lane begins to land change but does not see you. They quickly see you when they turn their head and quickly swerve back into their previous lane. As they do so, they strike another vehicle. You continue to drive away without stopping. In this case, you were not culpable since you were in no way the cause of the accident, nor were you involved in the accident. Instead, you were obeying the traffic speed limit and the carelessness of another driver caused the accident after not seeing your vehicle when they began to change lanes. If you were unconscious or disabled after causing an accident, and you did not comply with the requirements of stopping or turning over your driver’s license and other information, then you cannot be expected to be convicted of this offense. The rational for this charge is to punish those who deliberately attempt to avoid responsibility but not those who either cannot formulate the intent to do so or perhaps have a disability that causes them not to comply. If you got into an accident and the owner of the other vehicle is nowhere to be found, the law states that you can place a note identifying yourself with you contact information informing the owner that you caused damages to their vehicle, and avoid criminal liability so long as the note was placed in a conspicuous place. Assuming that the wind below the note away or perhaps the rain disintegrated the paper or caused it to stain the letters that will not be sufficient to charge you since that was beyond your control unless you knew or should have known that leaving a note would not suffice under the circumstances. The government may be relying upon your incriminating admission(s) to help prove their case. For instance, you may have admitted to police that you were driving your car. Contrary to popular belief, failing to warn you of your Miranda Rights will not result in getting the case dismissed. Law enforcement is only required to admonish you of your rights if you’re subjected to custodial interrogation. If the court deems your incriminating statements a violation of your Miranda Rights, then the judge will order the statements inadmissible against you. In the example above, the government cannot then prove you’re the driver and case may likely be dismissed. A civil compromise is a common disposition in hit and run cases where only property damages resulted. It’s codified under Penal Codes 1377 & 1378. Moreover, if the other party to the accident has no desire for prosecution and seeks only to be paid for the damages, then the judge holds discretion to dismiss the case as a civil compromise even over the government’s objection. To obtain this form of dismissal, you must pay for the damages prior to requesting an order from the court to dismiss the case as a civil compromise. Where damages resulted to government property (e.g., telephone pole or stop sign), the judge typically allows the case to be disposed via civil compromise since there’s no individual victim. In the event the court will not dismiss the case via civil compromise, you may be eligible to withhold adjudication of the proceedings, commonly called diversion. You may obtain diversion by the court, prosecutor, or by local or state statute. This occurs where you enter a plea and formal sentencing is put over for a period of time. In the time being, the court will order you to pay back the damages, perform community service, and stay out of trouble. If the aforementioned are successfully completed, your plea will be withdrawn and the case will be dismissed. Note that diversion is not available in all cases, especially if you have a prior criminal record. The diversion program helps to give leniency for first time offenders, but can be made available for those who pick up their second offense or even third offense. The process to obtain this remedy requires a specific petition filed with the court along with a proof of service to be served on the prosecuting agency. An expungement is brought under PC 1203.4 which permits the court to withdraw its finding of guilt, and dismiss the case thereafter. However, you must be fully completed with your probation period and paid all outstanding fines. 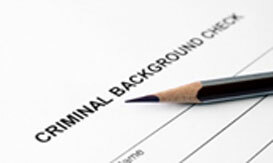 In addition, an expungement will not have any impact on your DMV record. Most individuals obtain this remedy because it carries substantial benefits for those applying for work in the private sector. Contact us for more information about expunging your record. If you’ve been arrested, charged, or are under investigation for hit and run under VC 20002(a), contact an Orange County criminal defense attorney at the Law Offices of John D. Rogers for a free confidential consultation. Our office represents those standing accused of hit & run in Orange County, Los Angeles, Ventura, San Diego, San Bernardino, and Riverside counties. California Vehicle Code 20002, subdivision (a): “The driver of any vehicle involved in an accident resulting only in damage to any property, including vehicles, shall immediately stop the vehicle at the nearest location that will not impede traffic or otherwise jeopardize the safety of other motorists. Moving the vehicle in accordance with this subdivision does not affect the question of fault. The driver shall also immediately do either of the following: (1) Locate and notify the owner or person in charge of that property of the name and address of the driver and owner of the vehicle involved and, upon locating the driver of any other vehicle involved or the owner or person in charge of any damaged property, upon being requested, present his or her driver’s license, and vehicle registration, to the other driver, property owner, or person in charge of that property. The information presented shall include the current residence address of the driver and of the registered owner. If the registered owner of an involved vehicle is present at the scene, he or she shall also, upon request, present his or her driver’s license information, if available, or other valid identification to the other involved parties. (2) Leave in a conspicuous place on the vehicle or other property damaged a written notice giving the name and address of the driver and of the owner of the vehicle involved and a statement of the circumstances thereof and shall without unnecessary delay notify the police department of the city wherein the collision occurred or, if the collision occurred in unincorporated territory, the local headquarters of the Department of the California Highway Patrol. Miranda v. Arizona (1966) 384 U.S. 436.